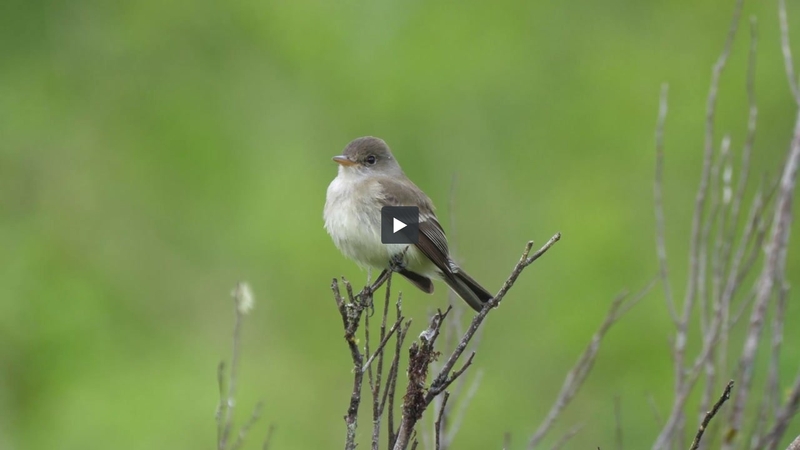 Willow Flycatchers have a distinctive "fitz-pew" call and they like marshy areas. This one was found calling near the boardwalk at McLane Creek Nature Trail. McLane Creek is a great birding spot with easy access, but the easy access means that it's pretty busy in the middle of the day. At 6 am, though, you can have the place to yourself!